Mallam Yakubu Ibn Mohammed a veteran broadcaster was born on the 11th of November, 1953 in Jos, Plateau State, he has spent all his life in this sector and like he says “…broadcasting is the only work I have done all my life”. He received his educational qualification from the prestigious Ahmadu Bello University, Zaria where he graduated with a Second Class Upper Division in Social Sciences, even this is backed with an array of professional certificates and diplomas from within and outside the country. Mallam Ibn Mohammed started his career as a sports journalist with the Nigerian Television Authority, Jos in 1977 and given his penchant for sports, he wasn’t just a sports reporter, but was actively involved in the game of football and athletics where he excelled in both sports. 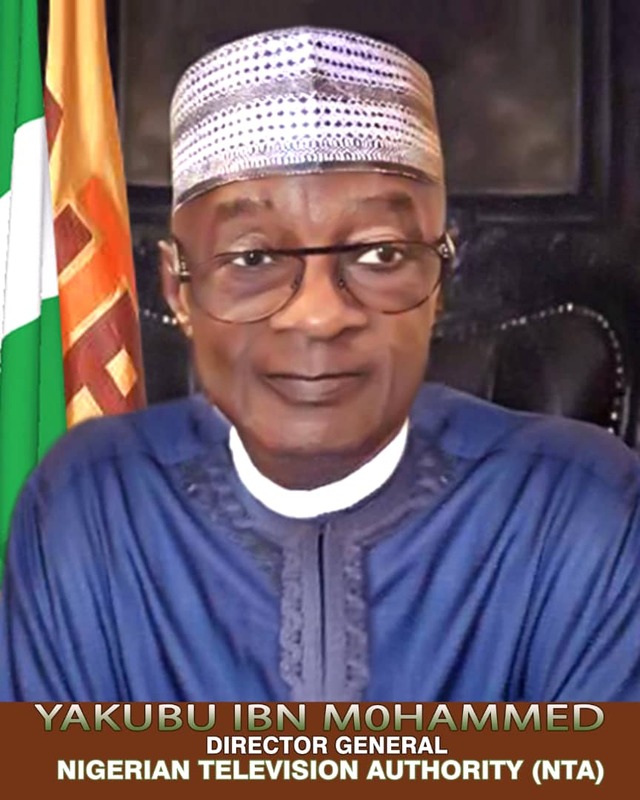 His passion and drive for excellence guaranteed his steady rise within the system, where he rose to the position of General Manager, NTA Bauchi from 1994 – 2002 and Executive Director Special Duties where he retired in 2012. He has served variously as Director News, NTA Headquarters, Zonal Director, NTA Benin Network Centre, and Executive Director Special Duties, NTA Headquarters where his brilliance, experience and clear demonstration of astute leadership gave birth to some landmark achievements and outstanding programmes which have stood the test of time, like Tuesday Live, Periscope, Weekend File and Nation Wide. 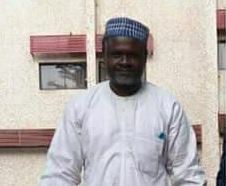 Yakubu Ibn Mohammed’s outstanding leadership skills and exposure in the media projected him into different organisations and bodies where he served in different capacities and platforms, like the Chairman Plateau State Sport Writers Association, Member Wikki Tourists Management Board, Member Local Organizing Committee (Bauchi Sub seat), Under-20 FIFA World Cup, Nigeria 99, Member Representing NTA on COJA Organizing Committee, Member Publicity Committee, Amnesty Panel. He has coordinated the production and coverage of series of grade A events within and outside the country including the 1979 elections where he interviewed the five presidential candidates-Late Dr. Azikiwe, Late Mallam Aminu Kano, Late Waziri Ibrahim, Late Chief Awolowo and Alhaji Shehu Shagari. He also covered the 1986 World Cup in Mexico, 1986 All Africa Games in Kenya, 1987 Under 20 World Cup in Chile, 1988 Olympic Games in South Korea, 1991 First Female World Cup in China, 1994 World Cup in USA as well as the 2002 All Africa Games (COJA). In the course of his duties, he has visited several countries in Africa, Europe, Asia, America, South and Central America etc. Mallam Yakubu Ibn Mohammed’s prowess is not only recorded on the screen, but also on print as he has also created some yet to be published works like – Nigeria and the OAU, Soccer in the Olympics and Blowing the Whistle. He is married with four children and his hobbies include reading, writing and sports, especially football. Fatima Mopelola Bada, an accountant by profession is an indigene of Lagos Island Local Government Area in Lagos State, the commercial nerve centre of Nigeria. She was born on the 19th of December, 1968. Her journey to excellence commenced in 1973 when she gained entrance into the St. Paul Anglican Primary School, Breadfruit, Lagos, this quest further took her higher to the Nnamdi Azikiwe University where she bagged Second Class Upper Degree (B.Sc) in Economics. She presently holds an MBA with a bias in Marketing Management. Mrs. Bada’s journey up the career ladder actually started with an Industrial attachment opportunity at Texaco Nigeria PLC in 1988 and later on with Central Bank of Nigeria (CBN) in 1990 during her one year mandatory National Youth Service Programme. She has since traversed the private and corporate world from Eleganza Industries Limited, Kola Salami & Co, Zenon Petroleum & Gas Ltd, Kalaf Nigeria Ltd and Lagos State Ministry of Finance to Folawiyo Energy Limited where she has gathered unquantifiable professional experience that has placed her shoulders above her peers. 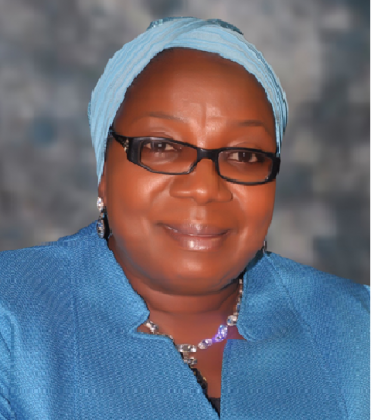 Not just done with gathering academic qualifications, Mrs. Fatima Bada who has a penchant for the accounting profession further beefed up her professional standing with the following specialized certifications – Certified Public Accountant (CPA) 2000, Associate Chartered Accountant (ACA), 2000, Fellow of the Institute of Chartered Accountants (FCA), 2013. She is also a member of the Institute of Certified Public Accountants as well as a member of the Institute of Chartered Accountants of Nigeria. Hard work they say can never go unnoticed and this is expressed in her award as the Best Qualifying Lady (SWAN Prize), ICAN in 2000. Mrs. Bada’s career objective is focused on utilizing her broad experience in the accounting profession to offer potentials for the advancement of the Authority. Salihu Abdulhamid Dembos is an indigene of Yola South Local Government Area in Adamawa. He was born on the 27th of August, 1960. His academic voyage commenced at the Kaduna Polytechnic, Kaduna where he obtained an HND degree in Marketing. He presently holds two Post Graduate Diplomas in Management from Kaduna Polytechnic and Ahmadu Bello University respectively. He is presently a professional member of APCON and NIMN. He joined the Nigerian Television Authority as a Continuity Announcer in NTA Kaduna and later became a Cameraman still in the Programmes Department. He was later deployed to the Marketing department after his National Youth Service at Oron, Akwa Ibom State in 1989. 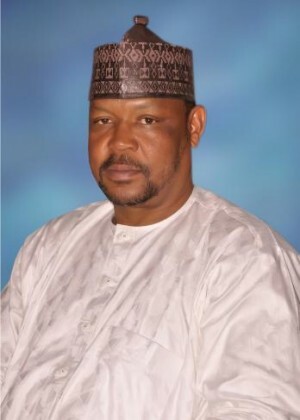 His dedication and commitment to his duties as well as his diligence and professional touch to his delivery of assignments ensured his steady rise within the ranks in the system to the position of General Manager, NTA Lokoja in 2009 and NTA Kano in 2010. Given his track record as a serial performer, he was appointed the Ag. Zonal Director, NTA Kaduna Network Centre, the station where he started work with and where he was until his retirement on the 31st of March, 2017. Mallam Dembos is an astute professional with a strong ability to inspire individuals to pursue collective objectives by satisfying their needs and it was this drive that engendered his involvement in the Staff Union, Radio Television, Theatre and Arts Workers Union (RATTAWU) where he rose to become the National President from 1998-2007. Dr. Steve Egbo is a native of Eziga Onicha in Onicha Local Government Area of Ebonyi State. He was born on the 17th of December, 1967. Dr. Egbo started his academic pursuit in his native Onicha at the Eziga Primary School in 1974, then to the All Saints Secondary School, Aba in 1980, before proceeding to the prestigious University of Lagos in 1987 where he bagged a Second Class Upper Degree in Political Science (B.Sc. Pol. Sc) in 1991. His unwavering quest for academic proficiency and distinction has continued to nudge him and today he stands tall amongst his peers with a Masters degree in International Affairs and Diplomacy in 1995, a Ph.D Degree Public Administration and Local Government and a further Ph.D Degree in International Relations which is still in view. Dr. Steve Egbo’s career actually started during his service year in Minna, where he served as the Special Assistant to the Director General, Deputy Governor’s Office, Minna, Niger State in 1991. He also was the Coordinator of Studies, Nassarawa Group of Schools, Chanchanga Local Government Area. His drive to impact knowledge on the youth and indeed humanity prompted him to pick a job as a Lecturer at the Department of Political Science, Abia State University, Uturu where he rose to become the Head of the same Department. He also was an Associate Professor in the Political Science Department of Federal University, Ndufu Alike Ikwo in Ebonyi State. Issues in Nigeria’s Constitutional Development (2) Political Soldiering: Africa’s Men on Horseback, (3) Managing our Government: The Elements and Principles, (4) Nigeria and the World: A Treatise on Foreign Policy, (5) International Organisations and Regional Integration, (6) International Relations in a new World Environment: The trends and Strategies and (7) Africa in Contemporary World Politics: A Study of the Foreign Policies of African States. Dr. Egbo has also published several journals and articles in many local and international magazines. 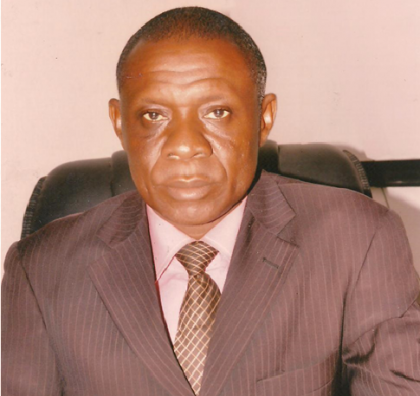 Being an outstanding academic dedicated to his duties and devoted to his calling, Dr. Egbo has received several awards and commendations including (1) Apostle of Discipline and Integrity by Abia State University Alumni Association, Abuja Chapter, (2) Award of Excellence as the Most Punctual Lecturer in Abia State University-1996-2016 by APAGS, ABSU Chapter, (3) Distinguished Leadership in National Development Gold Award- D’Linga 2015, (4) Apostle of Students Welfarism by the National Association of Ebonyi State Students, Abia State University etc. Given his general acceptance and his passion to see to the welfare of more people not only in his immediate community, Dr. Egbo ventured into politics at different times. He was given the mandate by his people as the Chairman of Onicha Local Government Area in 1996, he also contested as the Gubernatorial Candidate and Deputy Governorship Candidate of the All Progressive Congress (APC) in 2014 and 2015 respectively. He is currently a Member of the Governing Council, Akanu Ibiam Federal Polytechnic, Unwana, Afikpo as well as Member, Board of Trustees and Coordinator, South East, Positive Change and Peace Initiative. Mr. Babawole Coker is a veteran broadcaster with vast experience in Film and television production. An indigene of Abeokuta, Ogun State, South – West Nigeria. ‘Wole Coker’ as he is fondly called by friends and colleagues holds a Bachelor Degree in Fine Arts from the San Francisco Art Institute, San Francisco in the United States of America where he majored in Film production. He also has a Masters Degree in Business Administration from the Golden Gate University still in San Francisco, CA where he majored in Telecoms Management. On his return to Nigeria in the early 80s after completing his studies, he began his illustrious career in television broadcasting in April, 1982 with the mandatory National Youth Service program (NYSC) where he was assigned to the Defense and Foreign Desk at the NTA Headquarters, Victoria Island, Lagos. His outstanding performance during the mandatory one year national youth service led to his eventual absorption into the Nigerian Television Authority – NTA headquarters in Lagos in 1983. He was employed as a Cameraman, which according to him is his biggest passion; in his words, “to conquer a trade, you must learn the tool of the trade”. As an astute Cameraman and production expert, his devotion, passion and experience ensured he was deployed in 1987 to the State House to cover the Head of State’s daily assignments as well as supervise the NTA State House Crew. A thoroughbred professional who rose to the position of Officer – in – Charge / Head of Camera Unit, NTA News Camera Section in 1994, Supervisor of Transmission and Head of Production Services, NTA Lagos in 1997. The dexterity and resourcefulness of Mr. Coker on the job led to his appointment as the Special Assistant to the Director General of the National Orientation Agency – NOA in 2002. He later assumed same position (Special Assistant) to the Director General of the Nigerian Television Authority – NTA Headquarters in Abuja from 2003 – 2008. While serving as the Special Assistant to the DG, NTA, Mr. Wole Coker also doubled as the General Manager of NTA Plus from 2003 – 2009. His tenure at the NTA Plus witnessed unprecedented achievement in terms of contents development and production, staff training and empowerment, among others. In 2009, he was posted as General Manager to NTA Educational Television Centre in Tejuosho, Lagos where he undertook some outstanding initiatives and productions that still remain viewers’ delight, some of these include YOUNG INVENTORS, HOW MUCH DO YOU KNOW, OUR HISTORY, among others. He also organized three (3) annual National Children’s Exhibition of Arts, Science & Technology projects at the NTA Headquarters in Abuja in 2009, 2010 and 2011. The impressive records of achievements of Mr. Coker led to his appointment as Director, NTA Multichannel in 2012 and later Zonal Director, NTA Lagos Network Centre in Victoria Island, Lagos from 2014 – 2016. His appointment as the Executive Director Programmes of the NTA in March, 2017 has been greeted with excitement and optimism considering his records of achievements and antecedent. Mr. Babawole Coker brings to the table his wealth of experience, top – class desire and passion for quality programming and professionalism. Engr. (Dr) Stephen Okpanachi, is a thoroughbred Engineer who has spent all his career life in the engineering profession. Though he hails from Idah Local Government Area in Kogi State, he was born in Bauchi on the 20th of July, 1966. Engr. Okpanachi commenced his higher academic pursuit at the School of Electronics, Jos, and later to the Federal Polytechnic Idah where he bagged a Higher National Diploma (HND) in Electrical Electronics/Telecoms Engineering. His quest for excellence pushed him to acquire more knowledge and presently, he holds two Masters Degree certificates in Business Administration and Educational Technology respectively from the Lagos State University. He also has an array of Post Graduate certificates in various fields and currently holds a Ph.D degree in Curriculum Studies. Dr. Okpanachi started his professional career with the Nigerian Television Authority, Sokoto where he did his national service (NYSC) in 1988. 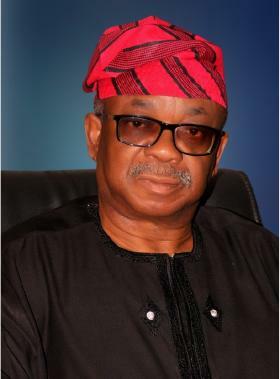 He was later absorbed as a member of staff of the NTA Channel 10, Lagos in 1990. He has worked and made his marks variously in different NTA Stations including NTA Lagos, NTA TV College, Jos and NTA Headquarters (SATCOM). He later moved to the Federal Radio Corporation of Nigeria (FRCN) as Deputy Director Engineering in 2006. Dr. Okpanachi’s professional standing has ensured his presence as a Fellow of Nigerian Society of Engineers and member of different professional bodies including, Society of Broadcast Engineers, Institution of Electrical Engineers, Nigerian Association of Educational Media & Technology, COREN and a host of others. Being an astute professional committed to effectively and efficiently delivering assigned responsibilities, Dr. Okpanachi has been involved in several national and international assignments including Chairman-NTA/FRCN – Committee of Hosting of African Union of Broadcasting General Assembly, Abuja, Chairman, Radio Nigeria Network Channel Committee, Chairman Upgrade Committee on National Broadcast Academy (NBA) to Diploma Awarding Institutions, Participated in the redesigning, Relocation, Reconfiguration and Installation of FRCN V-SAT Project, Chairman, FRCN-AZS Finance & General Rectification Committee, Member, Technical Advisory Committee on Spectrum Management in Nigeria, Participated in the International Telecommunication Union 2010 Plenipotentiary Conference (PP-10) in Mexico, Member of the Technical Committee on Broadcast of the 8th All Africa Games (COJA) amongst other high profile assignments. With the believe that hard-work pays, Dr. (Engr.) Stephen Moses Okpanachi has garnered several awards and commendations for himself, some of which are: CBA-IBC Award for innovative Engineering, CBA Travel Awards, Commonwealth Broadcasting Association Award for Cost Effective Engineering to mention but a few. He has attended so many courses and trainings within and outside Nigeria. These include Plessey Control Field Services Training School on Traffic Light Services, Poole, UK, Thomson Broadcast Systems MPEG2 & Satellite Operations, Luton, UK, Digital Video Broadcasting & Satellite Technologies, Monaco, France, Application and Trends in Satellite Communication Systems, Fibre Optics Cable Installation and Maintenance etc. Being a man of many parts, his foray into intellectualism has given birth to some scholarly materials which have been revealing researches – Information and Communication Technology literacy of undergraduate pre-service teachers in the Federal Capital Territory, Abuja, Nigeria, 2017, Farmers Rating of Greenland radio programme-Journal of Educational Media and Technology, Digital Radio Broadcast Format for Nigeria, Cost effective Engineering- International Broadcasting Convention, Holland, Netherlands and a host of other published and yet to be published researched works. He is married to Mabel Moses and blessed with three children.